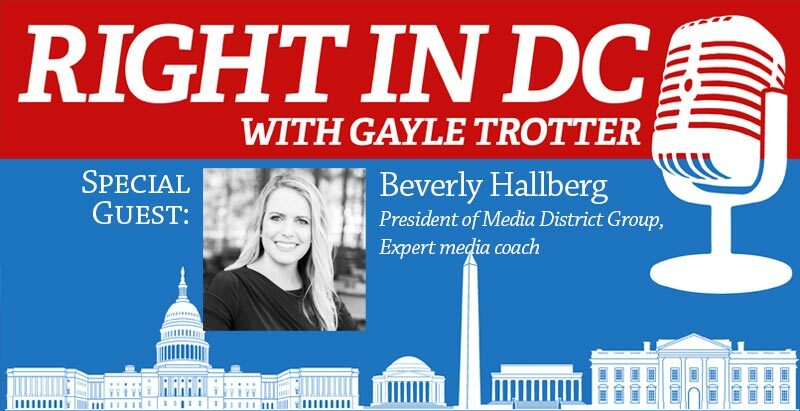 My guest today is Beverly Hallberg, the founder and President of District Media Group. She’s an expert media coach, lecturer and public speaker with more than 18 years of experience. She’s trained members of Congress (but don’t hold that against her), CEOs, policy wonks, reporters, non-profit and movement leaders and politicos. 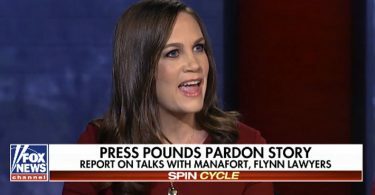 Beverly is a guest columnist for the Daily Signal, the Washington Examiner and The Hill, and is a frequent contributor to Fox News and CNN. What should people expect in 2019 in national politics and issues that will impact them? Is there anyone on the right who has the same charisma as Alexandria Cortez? Today, our guest is my friend Beverly Hallberg. She is the founder and president of District Media Group. She’s an expert media coach, lecturer, and public speaker with more than 18 years of experience. She’s trained members of Congress, but don’t hold that against her, CEOs, policy wonks, reporters, non-profit, and movement leaders and politicos. Beverly is a guest columnist for The Daily Signal, The Washington Examiner, and The Hill, and she’s a frequent contributor on Fox News and CNN. In fact, Beverly and I were on Media Buzz together, just a couple of weeks ago. It was a wonderful surprise to see you there. It was great. It was fabulous. I always love it when I see friends in the green room. Beverly lives on Capitol Hill with her English Bulldog and you can follow her on Instagram and see pictures of her adorable dog, and she’s a Golden State Warriors fanatic. Beverly, thank you so much for joining us today. Thank you so much for having me, Gayle. There is so much to talk about in D.C. right now, but you did recently put a tweet out there that just caught my attention. I want to start with that. You talked about how you arrived in D.C. many years ago, and you only had $400 to your name. Can you set up the story a little bit for us and tell us why you wanted to put that message out there? There has been so much discussion about, I think, even socialism these days and whether or not the American Dream is dead. When Kirsten Gillibrand came out and announced her candidacy for president, which she just did, she alluded to that the American Dream was still dead or is dead. I wanted to respond to that, because I am a perfect example of somebody that didn’t grow up with a lot of money. I did have some help from my parents to help pay for college, but I paid for a decent amount. When I graduated college at age 20, I came to D.C., had $400, and that was all I had. I was able to make it, first paycheck to paycheck, but then building and growing from there into the business that I have today, District Media Group, 18 years later. When we talk about the American Dream, one of the things that I think is important to tell people is, first of all, you can do it. When people say the American Dream is dead, that is not true. The second thing we should encourage people in this. I think it’s damaging to say the American Dream is dead. Not only because it’s factually incorrect, but also, I think it could prevent future entrepreneurs from wanting to start their own business and make their own way. I think one of the reasons this country is great is no matter whether you’re female or male, no matter what ethnicity you are, you can start a business. Even when people ask me questions about, “What is it like being a female business owner?” I always make the emphasis that I’m just a business owner who happens to be female. In this country, whether you’re male or female, regardless of your background, you can make a way for yourself. I think that’s an important message for us to make sure gets out there because, sadly, especially with socialism on the rise and talk about that, and the American Dream could die in the future. We do need to make sure that we show it’s alive and it’s well, but we have to keep our country strong so that future entrepreneurs have opportunity. Totally. I’m sympathetic to people in that situation and I think when people talk about the problems of why, young people, especially, don’t have the American Dream. It’s not because they don’t have the opportunity to be whatever they want to be and to start whatever they would like to start. We focus so much, understandably so, on what you just mentioned there, which is college debt. The problem that we’ve made, and this was something that my parents helped me navigate, I had wonderful mentors, is I graduated with zero college debt because I didn’t go to a big Ivy League school and I worked my way through it. I am one of those blessed people that didn’t have debt and didn’t have to pay that off. The other side to that, too, is that I’m actually pretty uneducated in comparison to many people in D.C. I only have a bachelor’s degree. I work with lots of people who have PhDs and very, very smart people. Degrees are important for certain careers. For example, Gayle, you’re a lawyer. A law degree is really important for what you’re doing. That’s essential. If you’re a doctor, you’re going to have to pay a lot to go to school. I grew up in Silicon Valley. I was used to people not getting degrees and actually having really great jobs, because they figured out that computers were the direction and they taught themselves. They went to trade schools, if you want to call it that. I just think that the way government mentality is there is always a set way to do things and that’s not what the American Dream is. The American Dream is: Don’t saddle yourself with debt and instead, figure out what you’re good at and how you can find a market for what you’re good at. That’s what Democrats, in my mind, do not break out of. It’s really this mold that they think there is only way to work. I think that’s a mistake. You are a successful womenpreneur or entrepreneur, either way you want to say it, and I’m curious with District Media Group, what your average day is like in your business? Really every day is so different. The majority of what District Media Group does is meet with clients, and we help them communicate effectively. Our bread and butter is preparing people for media interviews, but we also help people with public speaking, shark tank competitions, TED Talks, speeches, and just overall communication tips. start at 3:00 a.m. in the morning if I have a 4:00 a.m. TV hit, come home, take care of the dog, eat a little breakfast, drink coffee, stay up on the news. I try to tweet in the morning. It’s good to keep Twitter active and have stuff to say, because that gets you more TV hits. Usually I have a meeting thrown in here and there, and then maybe a training session in the afternoon. The one thing about being an entrepreneur is that you’re pretty much working all the time, but you can do things for yourself during the day. Even times I go to the gym, it may be at 10:30 in the morning because I’m working that evening. It’s really a very fluid schedule and no day is the same. I don’t start at the same time every day. I don’t finish at the same time every day. It’s a lot to juggle as far as the calendar goes and you have to keep it all straight, but it’s great. It works really, really well for me and it’s wonderful to go grocery shopping at 2:00 in the afternoon. It sounds like never a boring day. No, it’s never a boring day. It’s always busy, but it’s good. There are many aspiring political pundits across the country and I think probably Washington D.C. has the highest accumulation of people who want to be political pundits. When you’re speaking to people who are interested in that, maybe just on an amateur basis, but you just go out and you’re talking to people about what you do, what your business is, and they ask, “What’s it really like to be on TV?” What is your answer to them? It’s not as glamorous as it seems. You probably feel the same way, Gayle. What people don’t realize, and it depends on what city you’re based in, but so many of the shows are based out of New York. 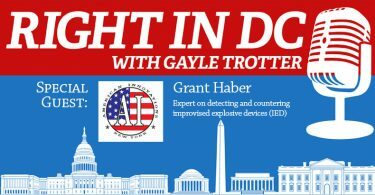 The majority of the interviews that I do or my clients do, if they’re based in D.C., its not to be at the anchor desk, but you go into a small room, somebody mics you up, puts the earpiece in your ear, called the IFB, and you sit there in a cold room, in the dark, with lights shining brightly on your face staring straight into a camera for about ten minutes before you go on. Then you have your five-minute segment, and then you walk out and it’s done. As far as what I think people think the experience is like, I’ve brought my family before and I think they’re always surprised, like, oh, you just sit in here by yourself and then you do the segment and you leave. 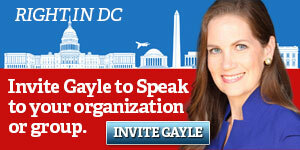 My favorite part though is, and I’m sure you’re the same way, Gayle, but I love the green room. I love talking with people who come in. A lot of the people are clients of mine or former clients of mine. People who I’m friends with and you develop a really, really good relationship with hair and makeup artists. I love the women over, especially at Fox News where I am most frequently, I’ve developed friendships with the women who work there and do your hair and makeup. It’s fun. I really, really enjoy it, but probably the main thing that you have to be asked, a producer wants, what they’re looking for when it comes to guests and they said, people who can be very, very nimble. 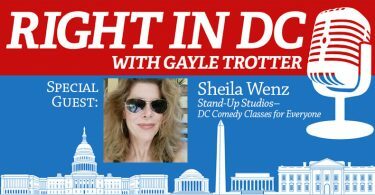 Quick on your feet, because, as you know, Gayle, often you don’t get topics until maybe two, three hours prior. Sometimes they give you topics last minute. You have to be very much up on the news, figure out what’s going on, and realize your topic could change at any second. Do you feel that it’s stressful at all or have you had so much experience doing it now that it’s not a stressful experience? I don’t want to say stressful. The only times for me that it seems a little bit stressful is if there is breaking news and something changes last minute or let’s say I have a TV hit and I have clients right up until I have to get to the studio and I haven’t had time to watch the news that day. You’re trying very, very quickly to figure out, okay, here is the topic they want me to talk about and getting yourself as informed as possible. Sometimes those situations could be stressful. Usually if I get the topic, I have a couple of hours. I’ve kept up on the news. I just know, okay, I need to get some datapoints or the angle that I want to take on this, but not really too stressful the more that you do it. It’s kind of similar to public speaking. I do a lot of public speaking, and it’s the greatest fear that people have. People are more fearful of speaking in front of an audience, even more so than they say a fear of spiders and a fear of dying. Of course, I was nervous when I started doing it. When I started doing TV I was, of course, nervous, but it’s one of those skills that if you’re constantly doing it, it just becomes your norm. It becomes what’s normal for you. It’s always going to be stressful when you first start, but the more that you do it, the more it just becomes your day to day, and you become comfortable in it. Have you found the same experience to be true? Absolutely. Actually, I will share at this point that how Beverly and I know each other is she was my very first media trainer. I went to a workshop that she put on with maybe six people total in the class, and it was so different. 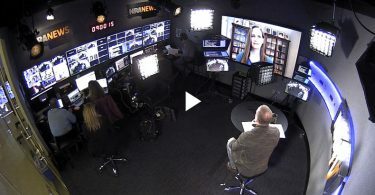 TV preparation and what you say in an interview is different from anything I had learned through years of debating, public speaking, being a lawyer, all of the training that I had had, it was completely flipped. You never build up to something. You have to start with your main point, because if you don’t, you may never have a chance to get it in. How long ago was that, by the way? I was trying to remember how long ago it was that we met. Do you remember? I think it was in the winter or the spring of 2012. Right when the Obamacare decision was about to be handed down by the Supreme Court and that was when I started getting more involved in the TV aspect of interviewing and policy discussions. Yes. You were just mentioning how it’s so different. I think especially people who have been practicing law. It’s a real change. It’s a 180 from how they normally speak, because when you’re in court, you have to be complete in your answer and you have to answer questions that are there. You have to be very much on top, like, in media interviews, you don’t have enough time to be complete. You have to just give the top line message, and then don’t answer the question thrown at you. Find a way to pivot to what you want to talk about. It’s a very different way of communicating and you’re exactly right. You don’t have much time. If you have a five-minute segment and you’re debating somebody, so that’s three people total in the segment, host, two guests, you being one of them, you probably are only going to get two questions, therefore two answers, and maybe you’ll get a third at the very end of the segment where they want you to be really short. You really have two 30-second answers to give. If you’re waiting, if you’re gearing up for, all right, I’m going to give my big conclusion at the end of the segment, it’s already done. The segment is already over. It’s really forcing you, at the very top, to say why does this matter and why should people care. That’s just a different discipline than how we normally communicate with people. A lot about TV is not intuitive. People sometimes think, oh, so and so is just a natural on camera, and some people have a better knack for it than others, but it’s because they’ve practiced or they’ve done it enough, that you become good at it. You have to get used to the flow of TV, which is very different than normal communication. One of the things you have to consider is: who is it you’re defending? You even see this right now where the president is talking a lot about Angel Families, as he should. He is showing who he’s defending based on bad actors who have come into this country illegally and I think he should. That last point I think is important. I think this whole shut down, one of the things that’s been really important to this is something he’s talked about all along. I think it would be fine for him to start an answer by saying, “This is something I promised to you, if I was to be your president, and while other elected officials, Democrats included, agreed with my perspective, just a few years ago, just a few months ago, even though they don’t want to stay true to what they once said, I will because I know how important this is. Every day I hear from families who have lost a loved one due to somebody who is here illegally.” Then I would go to an example of that. Tying proof to it; stats to it as well. It’s always better to be a defender of people. Who does this matter to? He could even talk about being — I love it when he talks about border security because that’s defending them and what they say. Their safety as well. Talking to states, to the governors of states, what are the people facing down in those states. One of the things that the president does have going for him, is that this is something he’s talked about the entire time. Right. It’s not a Johnny-come-lately issue for him. The big mistake that he made was saying that Mexico was going to pay for it and now he’s kind of backtracking on that and saying, “I didn’t explain exactly how.” Indirectly they would pay for it. I’m like, “Now you’re getting into semantics,” when you have to get into semantics, you’ve kind of lost it. Should he just not engage in those questions at all? I think he either needs to say, “Look, it’s an issue, it may take a long time to get some funding for this from Mexico right now. It’s enough of a crisis that we need to deal with it.” I’d be fine if he kind of distanced himself from that. I don’t think it was a smart comment to make from the beginning. I was never for that comment. I personally disagree with the president on a lot of his trade policy. I know he’s thinking about this through trade, but that becomes too complex of an issue. I think trying to back away from it and not necessarily come out and say, “I was wrong,” but just say that the situation is urgent and as Americans we need to focus on this now while we’re working on deals with Mexico. I think that is excellent advice. Beverly, you are definitely a D.C. insider. Do you have any major forecasts for us of what’s over the horizon in 2019? What should people outside of the D.C. area be looking at in national politics that these things are really at the forefront of issues that are going to impact them and that we’re thinking about going into 2019? Unfortunately, I don’t think many issues are going to be dealt with this year because you do have now Democrats taking over the House. What we can expect is a lot of entertaining interviews in the next year because once the shutdown ends, which I don’t know when it will end. I’ve said from the beginning, I think this is going to last a while, is that it’s going to turn into impeachment. I’m going to hear a lot about impeachment talks moving up. I also think what’s going to be really interesting is just watching the different Democrats that are going to come out as contenders to Trump. It’s going to be a really, really big Democratic field. They’re trying to be even more creative on how to show that they’re relatable and just like you. Some of those campaign announcements have backfired, in my opinion. I think what people should also take note of is Alexandria Ocasio-Cortez. I disagree with her in every way on her policies, but I think one of the mistakes is for conservatives who disagree with her to not take her seriously, because she has so many Twitter followers. She has such a huge following. What is it, like, two million Twitter followers? It’s a crazy number. I believe it’s more than all the top Democrat leaders combined, significantly more. I think one of the things conservatives need to do is definitely engage on why we stand for something different, but don’t dismiss her, because she is likeable. Young people are looking into the area of socialism and I think if we dismiss it, it will be to our own demise if we dismiss her as somebody who is not serious. I asked him, “Do you think there is anyone on the right side of the political aisle who has the potential for that? Is it innate? Is it something that can be learned?” I’m curious, do you think, Beverly, if there is anybody on the right side of the aisle who has that kind of charisma that she does, and if not is there somebody who can cultivate it? She has charisma that I think is authentic to her and it’s going to be hard to replicate that, but one person on the right who stands out to me is somebody who I think played off culture really well is Dan Crenshaw, the new congressman who ended up going on Saturday Night Live after being mocked by Pete Davidson, one of the hosts of Saturday Night Live. I love that he engaged, was self-deprecating, made jokes. I think he’s someone who can reach out to young people. He’s younger himself. Different vibe, of course, than AOC, as she’s known, but somebody who I think is willing to engage in culture and doesn’t look awkward doing it. I don’t think you want to have the right force it. It’s got to be people who are younger and understand social media and understand culture to do it. He’s somebody who I would be looking to see how, as he moves into office, not just legislatively what he does, but also how he engages with the media. I’m hopeful that it’s going to be good and we’re going to see a lot more of him. Two final questions. You moderated a workshop on podcasting a few months ago. It is such an easy way for people to jump into the conversation, there aren’t gatekeepers like we used to have. There is a way to get your message out there and even if you have only ten people who listen to you, it’s a way to contribute to the conversation on these controversial national issues. What tips would you have for podcasters who want to start off, not experienced people, but people who just have always said, “I want to start podcasting”? First of all, it’s just making sure that you are yourself in your conversation. I know sometimes people get nervous and they think, “I’m taking this seriously, and so I have to be serious.” Podcasts are about showing your personality, so have fun with it, first of all. The second thing would be is try to have consistency. One of the ways you could build your audience is when they know that once a week, we’re going to have a podcast come out, but be reasonable about the timeframe, because they do take time and they do take work. Yes, be yourself, be conversational, and also be consistent with how regular the episodes come out. Final question. 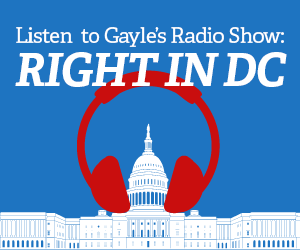 This is the Right in DC podcast, so I have to ask you, being a transplant, not a native Washingtonian, do you like D.C., and if so, what do you like about it? What are some of insider places that you could tell us about? I do love D.C. I’ve been here 18 years now., originally from California. I do love that the city has changed a lot since I’ve been here. The restaurant scene is amazing and I’m a big art gallery person. One of my favorite places right now is a new art gallery called Art Tech House, which is interactive art. It’s like as your hands move, the art itself changes. It’s light shows, and it’s a different installation every quarter, every season. I’m big into art shows and I’m also into big into sports. My Golden State Warriors come into town next week. I’ll be going to watch them play the Wizards. That’s another place that I go. If people want to follow you, Beverly, where can they find you online? Where can they find me online? Our website is districtmediagroup.com. You can find me on Twitter @bevhallberg and on Instagram just beverlyhallberg. I would love to have you follow me and feel free to ask you me any questions on social media that you may have. Thank you so much for joining us, Beverly. Thanks for having me. It was fun. I’m Gayle Trotter. You can follow me on Facebook, follow me on Twitter, follow me on Instagram. You can subscribe to my YouTube channel. You can support this show on Patreon. This is Right in DC.